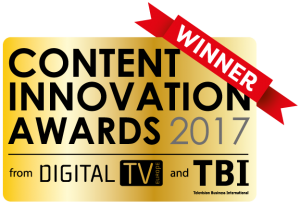 Yospace and BT Sport were recognised at the Content Innovation Awards for the completion of a full season of sports coverage with Dynamic Ad Insertion enabled. The project earned praise for proving how to implement DAI successfully at scale to support the biggest sporting events, including Premier League and UEFA Champions League. Winning in the “Next Gen Advertising” category, Yospace beat entries from Spott, Mautilus and Newstag to become the first company to win at the prestigious CIAs two years running. The awards, which are presented in Cannes by Digital TV Europe and coincide with MIPCOM, have fast become one of the most sought-after in online broadcasting. Read more about Yospace’s work with BT Sport here.